Cirro Virginia Rolling e-liquid is inspired by the classic taste of American hand-rolling tobacco. 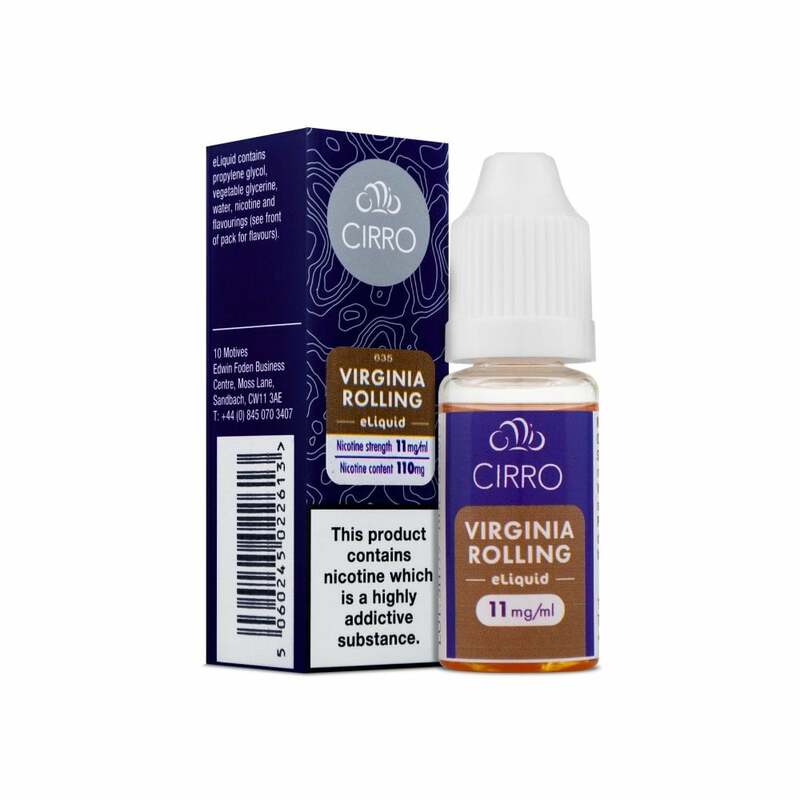 Light but authentically smoky, Virginia Rolling by Cirro is the perfect choice for former roll-up smokers. Like most tobacco flavours this one tastes mainly of caramel and not very nice caramel at that.